Re-engineered winches are upgraded to use standard Skylaunch parts and spares wherever possible. 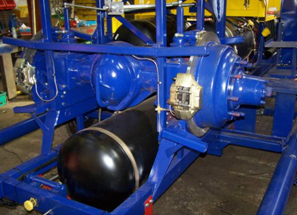 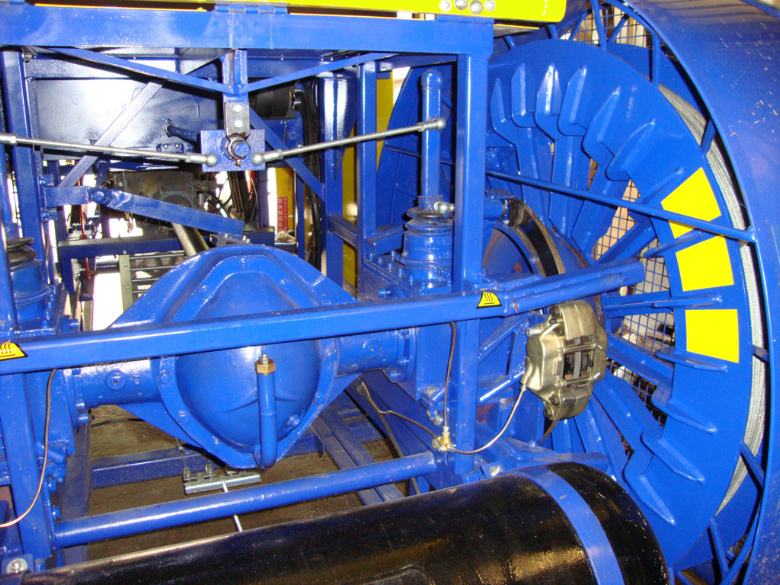 Axle centre turned over to operate the correct way up to eliminate the known bearings lubrication fault (Tost). 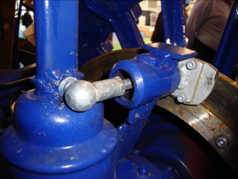 Upgrade modification to strengthen drive shafts tapers and hubs (especially on Tost winches). 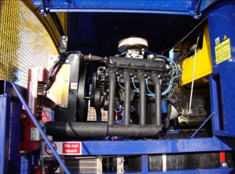 Disk brake conversion eliminates unreliable old lorry drum brake issues. 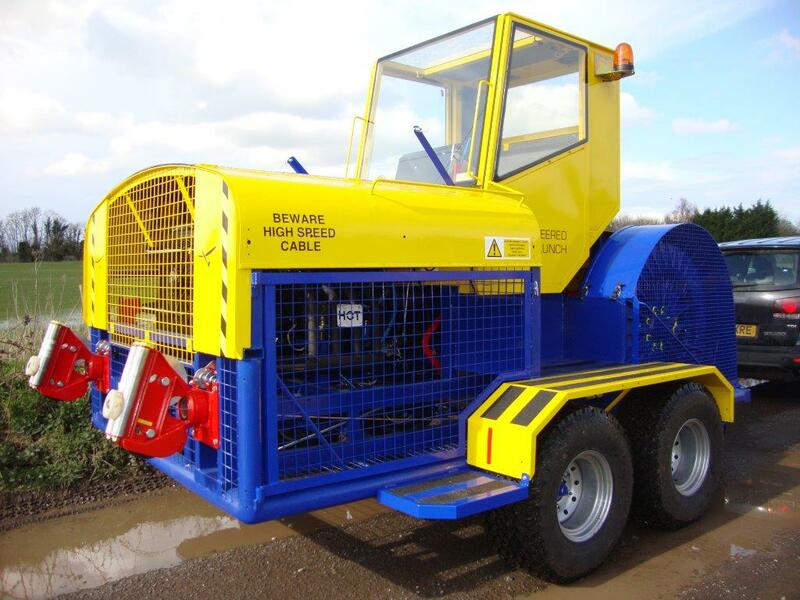 New high capacity, re-inforced,narrow width steel cable drums suitable for long lengths of all cable types. 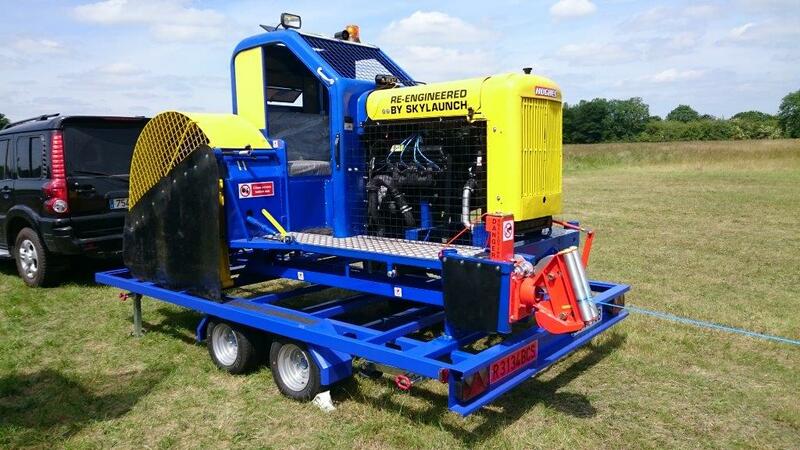 Elimination of all problematic level wind equipment with new drum design and chassis layout. 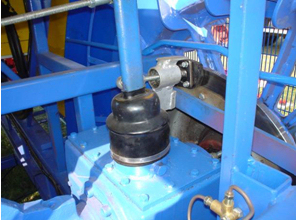 Marine type Rubber mounting of engine and transmission to remove stresses. 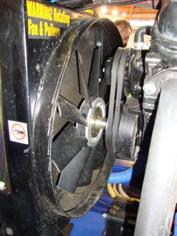 Common Engine and Transmission cooling problems rectified. 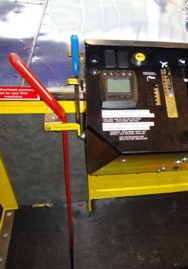 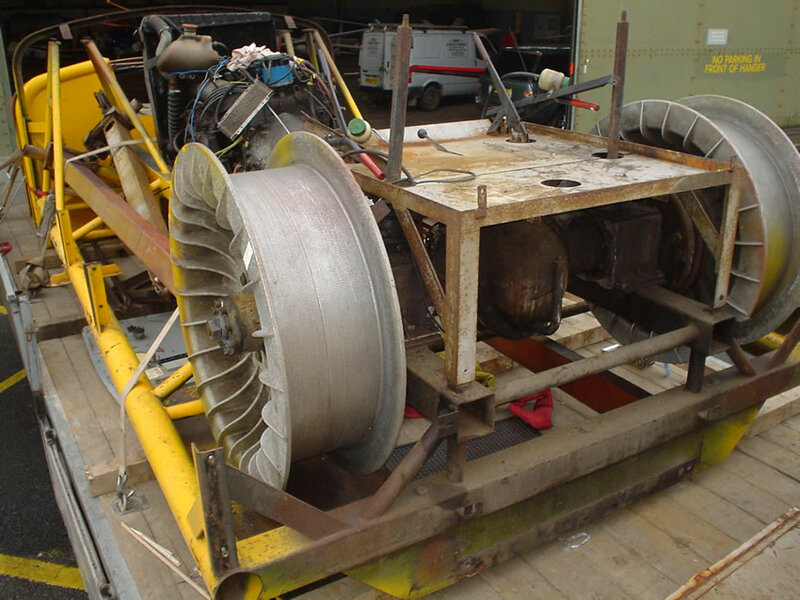 Transmission rebuilt and/or upgraded using all ratios for safer Glider launching (required on all Tost winches) . 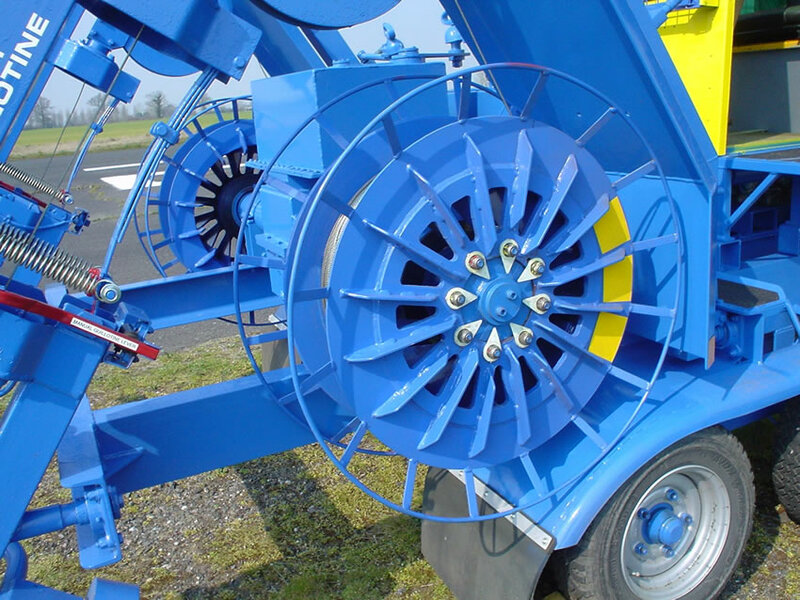 New Transmission brake system fitted for safer, easier drum selection. 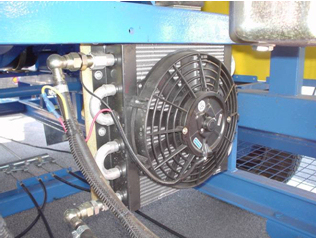 Separate Transmission cooler unit with fan to greatly increase Transmission life. 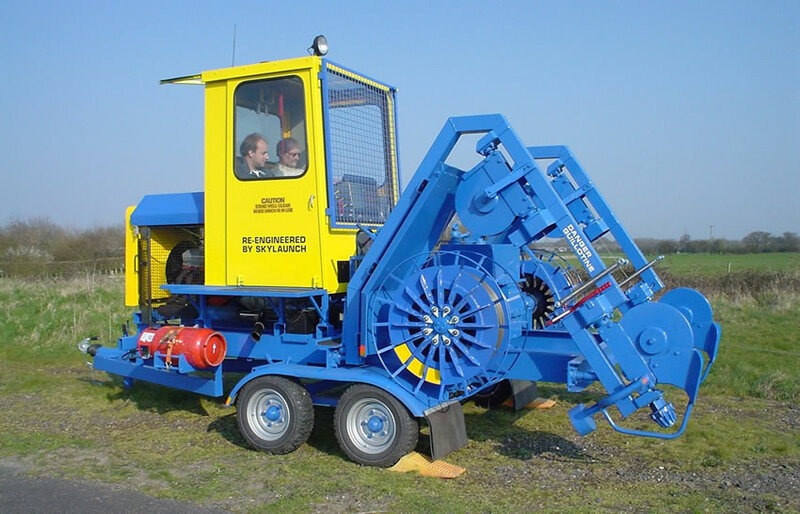 Guillotines upgraded and cutting force increased (as required). 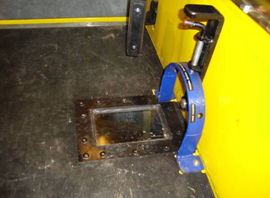 Cable pulley/roller boxes renewed/upgraded with improved design to increase cable life & ease of maintenance. 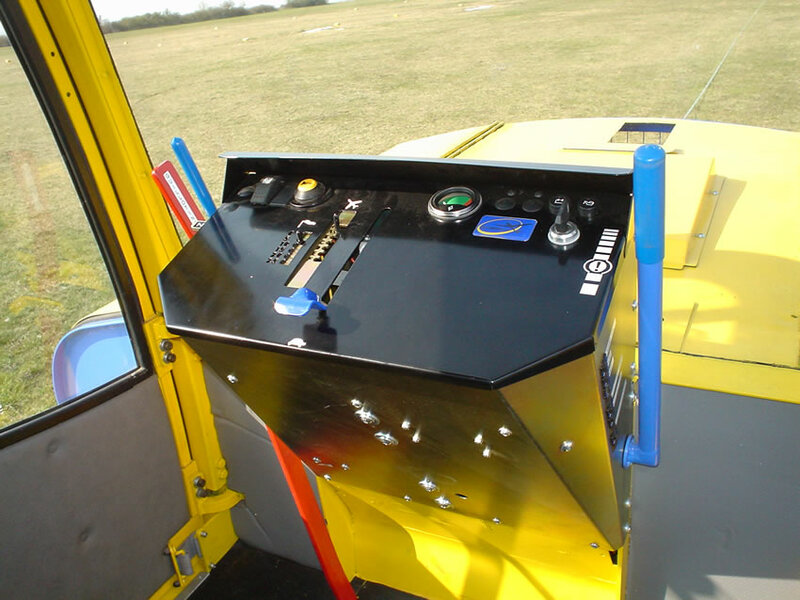 New ergonomic levers with Skylaunch launch control system for ease of operation & safe, consistent launches. 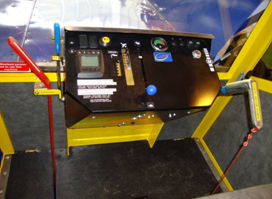 Upgraded cabin with laminated safety glass. 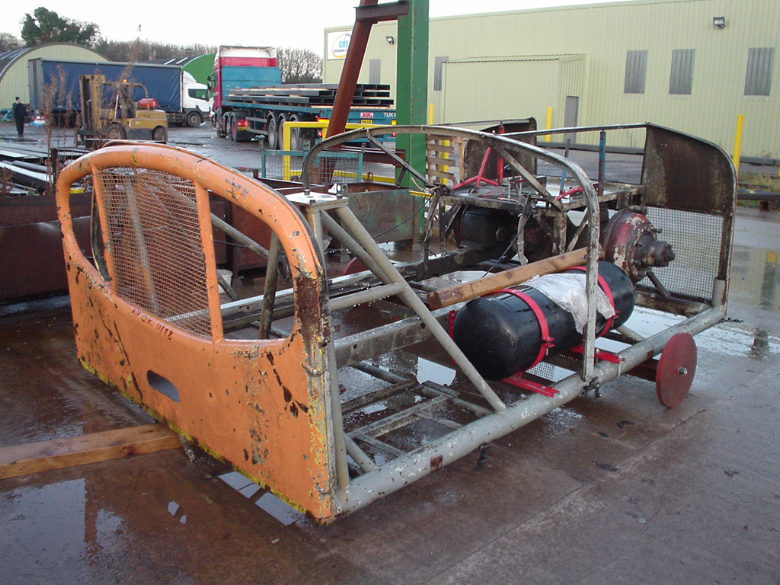 Extended and improved chassis design. 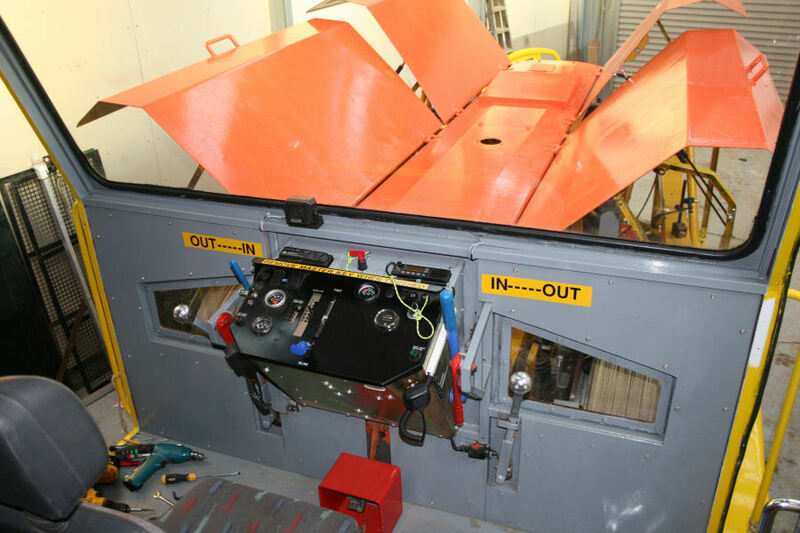 Re-engineer / renew bodywork and guards to improve safety and access. 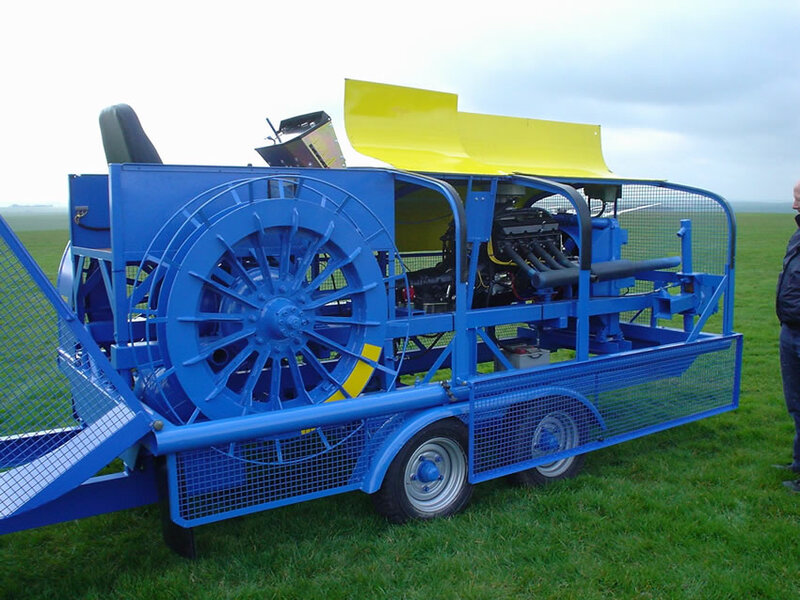 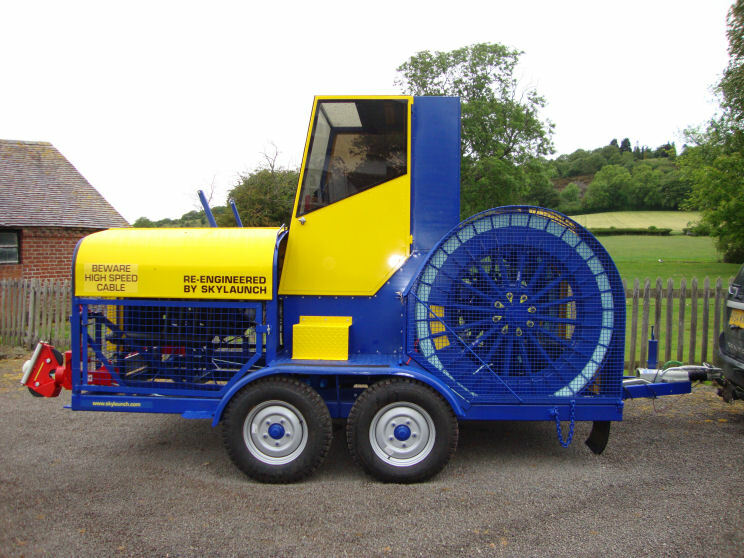 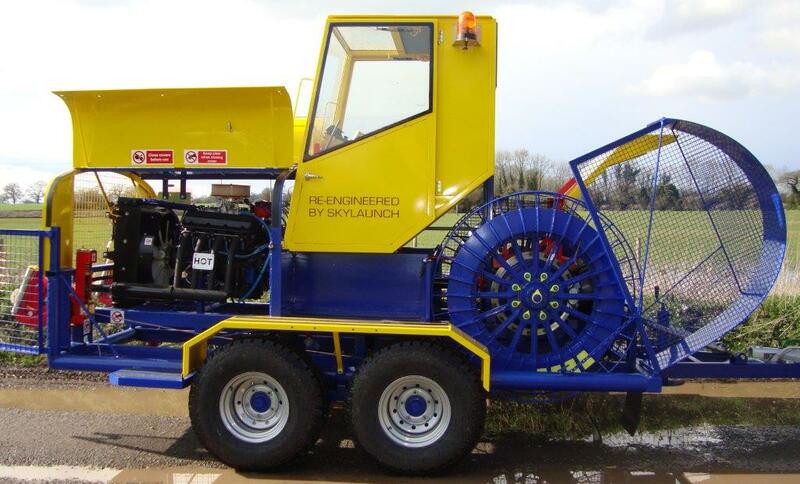 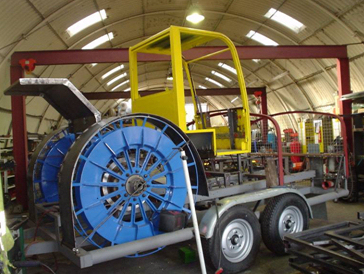 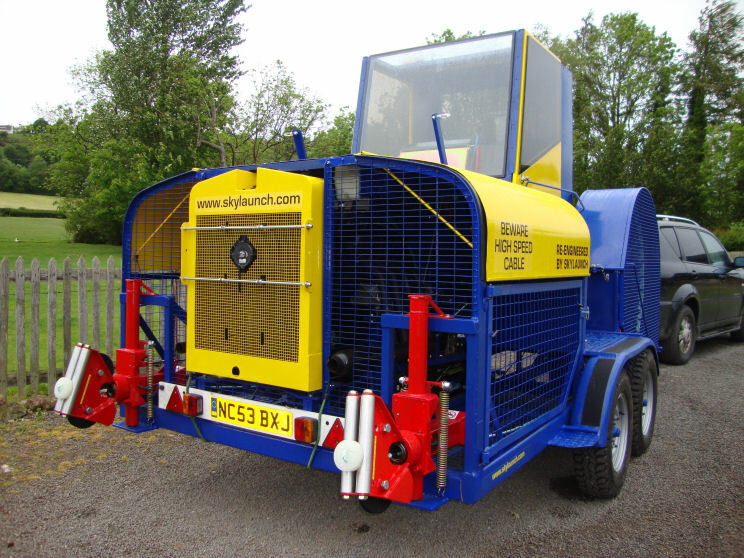 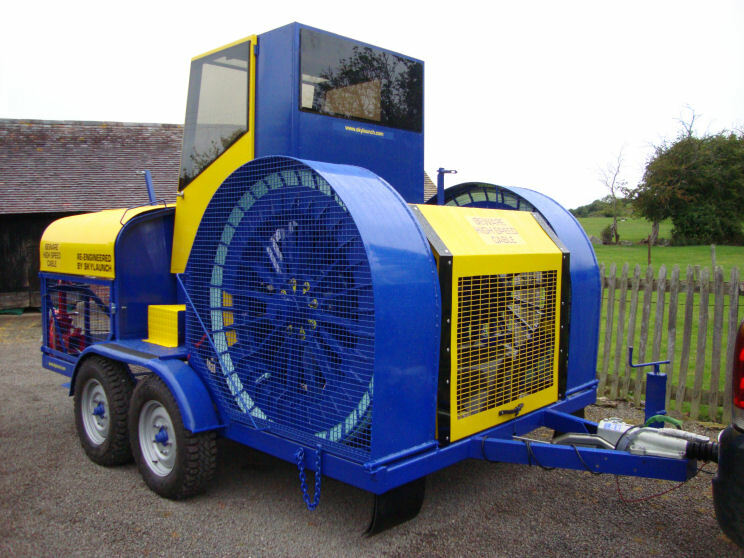 Re-engineering is often using customer’s own winch but Skylaunch have a stock of various winches for sale. 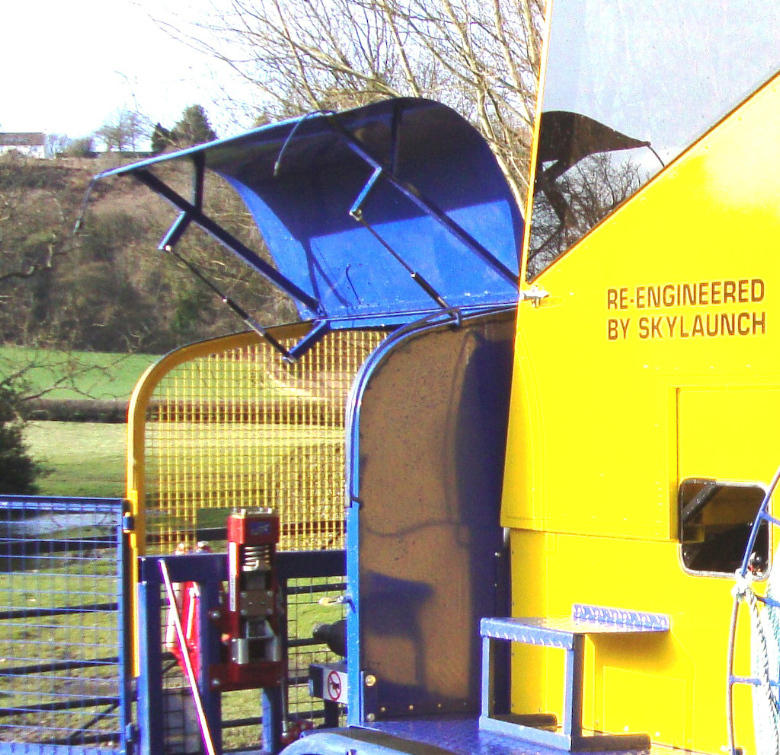 The examples below show some of the winches that Skylaunch have re-engineered to improve launches, reliability and ease of use. 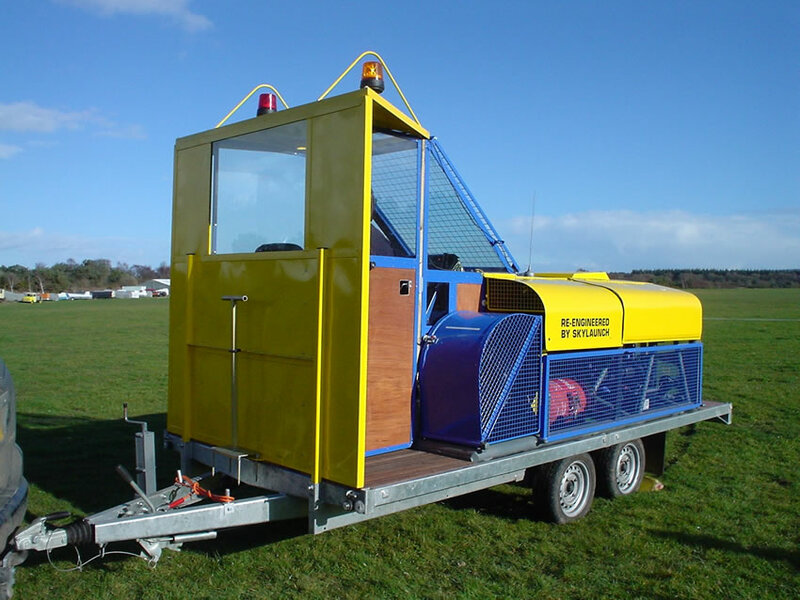 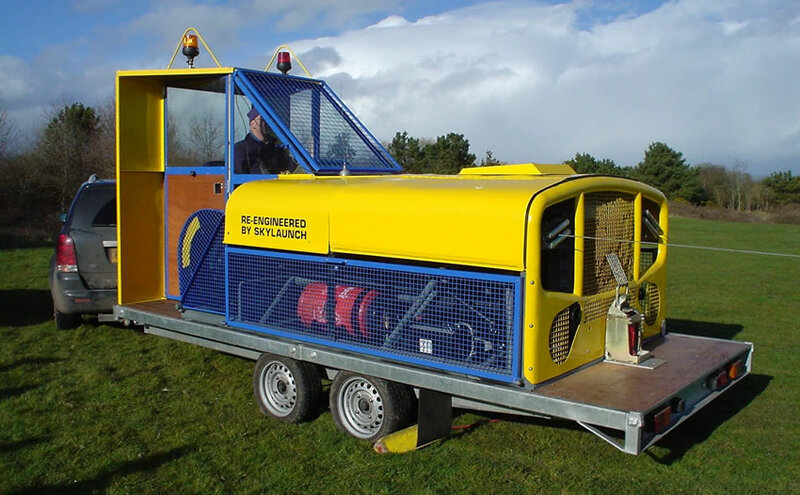 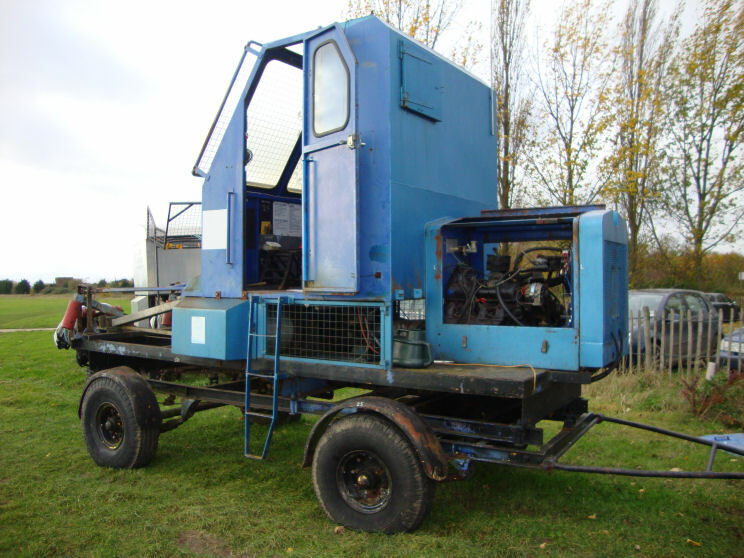 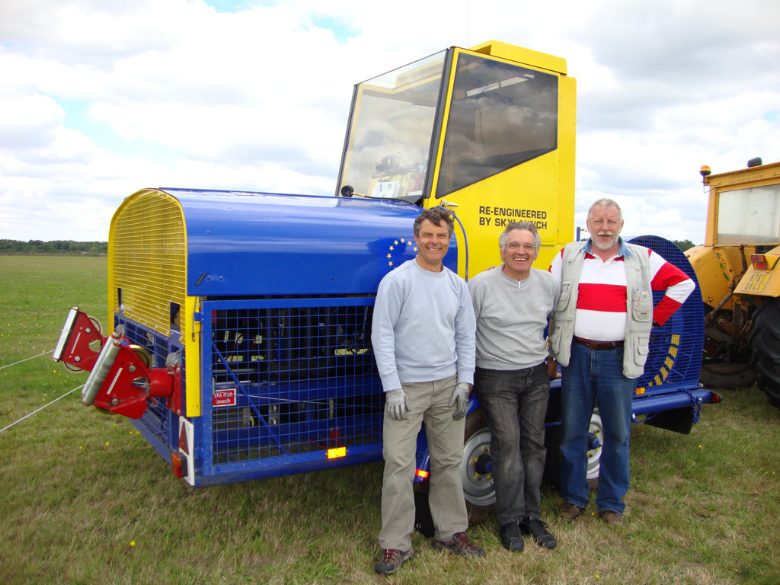 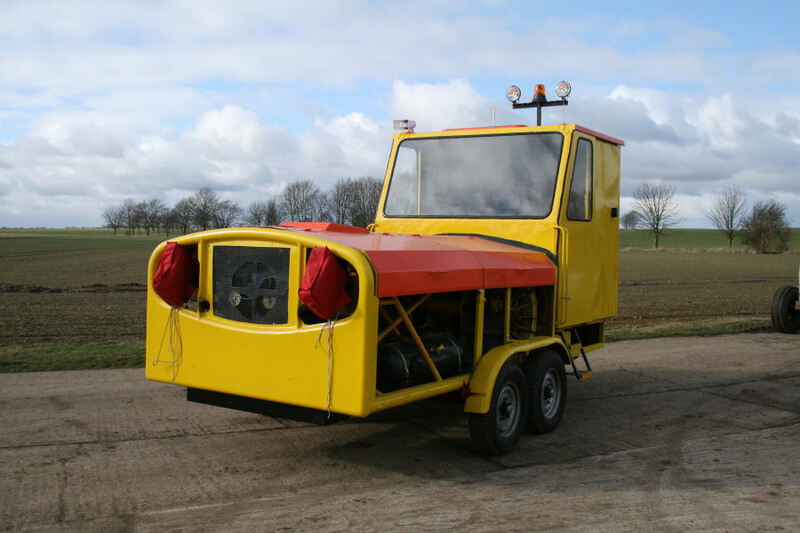 Visit Gliding Club and (if necessary) remove the Tost from its lorry, lower onto our trailer/truck and return it to Skylaunch HQ (We have a special lifting rig for this purpose). 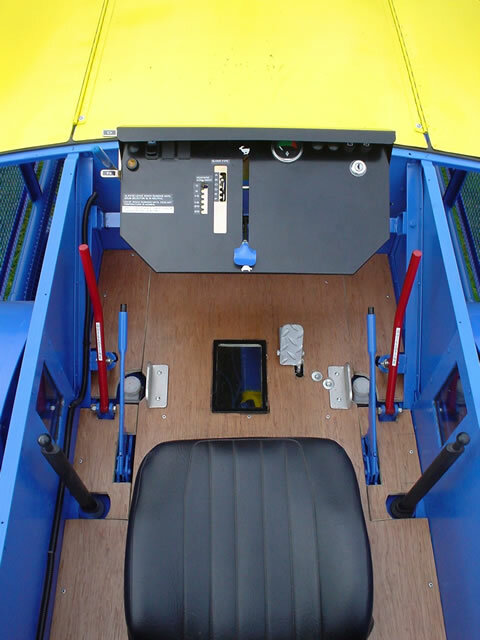 1) Remove Tost axle from the winch, turn diff around the correct way, which gives cable feed from bottom. 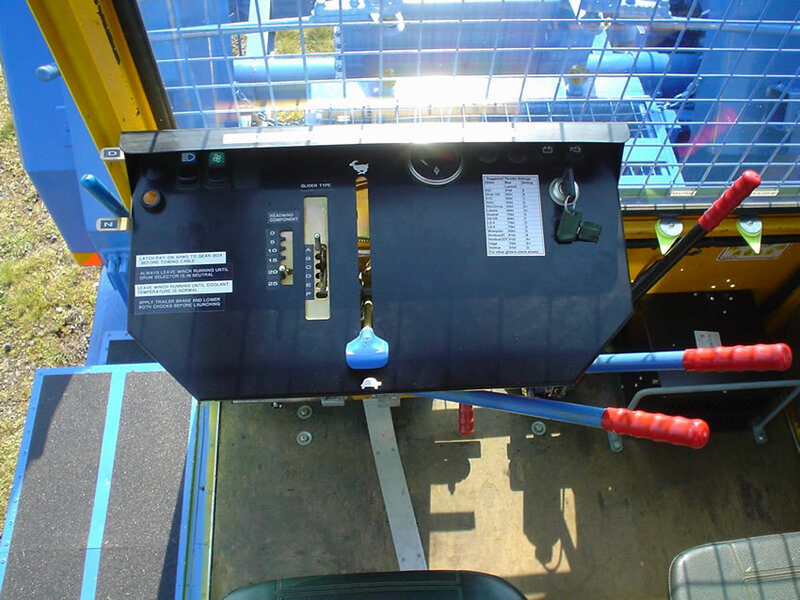 2) Convert to new disc brake system with single lever on control panel (as Skylaunch) and simple weight system for cable tow-out. 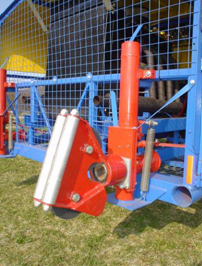 Also renew drum hub ends, build up and modify shaft ends to new larger diameter, shallower taper, larger keys system as original drive shaft tapers are prone to sheer the keyways, especially with larger engines such as the 7.4l or 8.2l V8s. 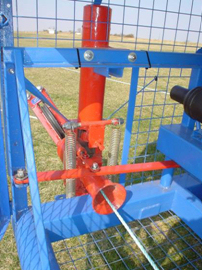 Renew drum engagement drive pegs as necessary. 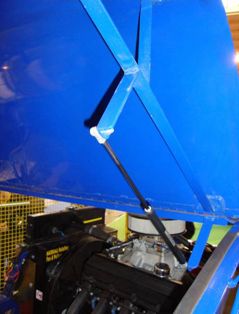 Fit partial brake system on drum selector lever, for neutral drum drag. 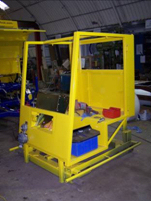 3) Manufacture new fully machined and balanced narrow width drums with catch rails. 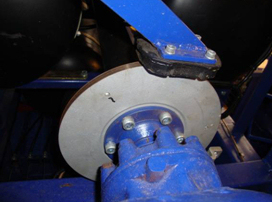 Fabricate new half round drum covers to fit closely around catch rails. 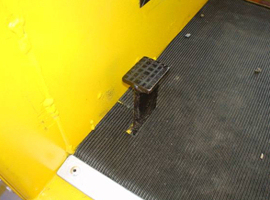 Fit protection bars in Chassis to contain any loops from damaging brakes and allows the cable to be quickly untangled. 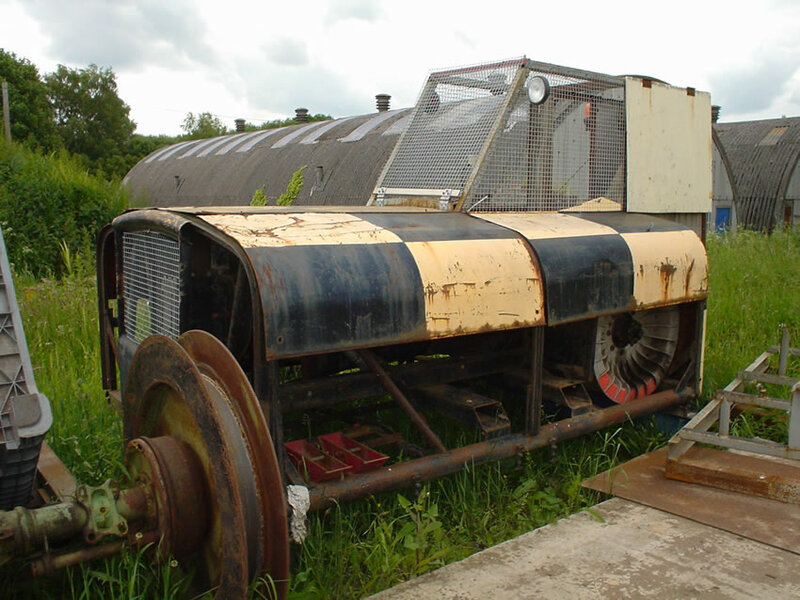 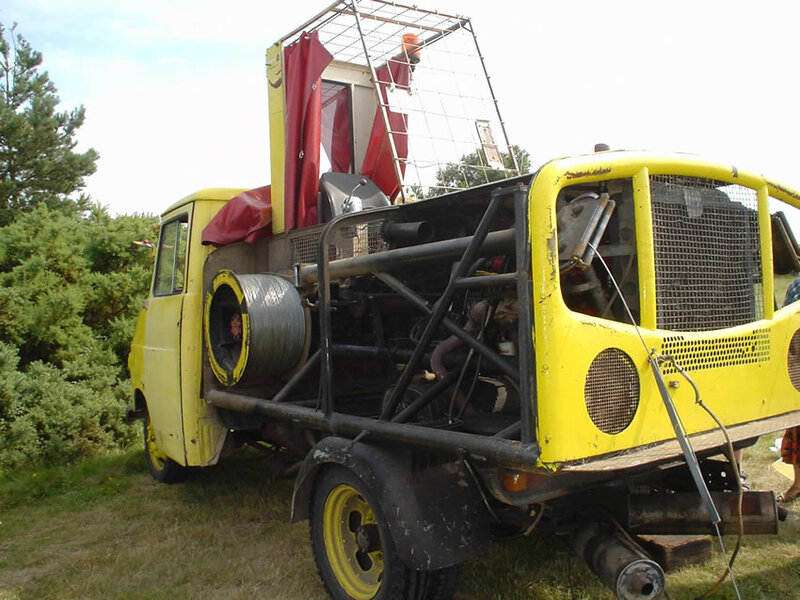 4) Mount Tost axle on modified chassis with new twin wheel trailer axles with suspension, tow hitch (50mm ball) auto reverse brakes etc. 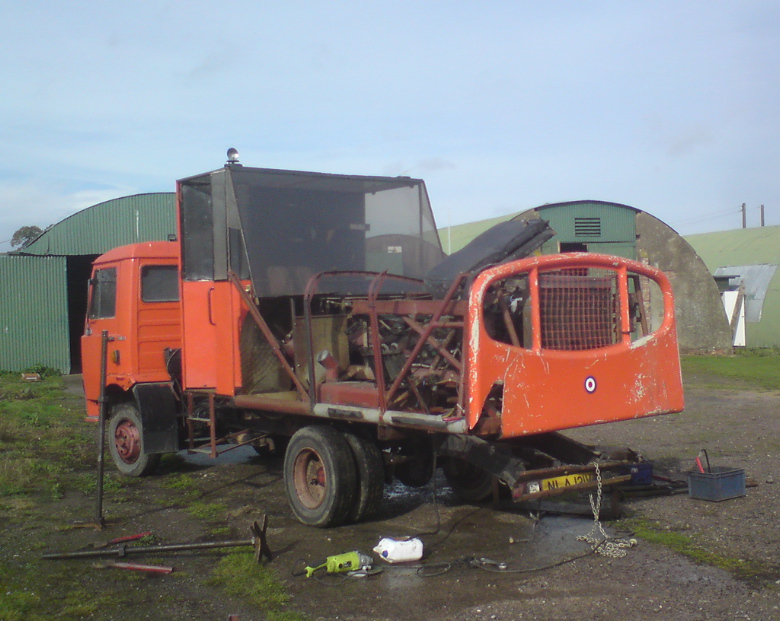 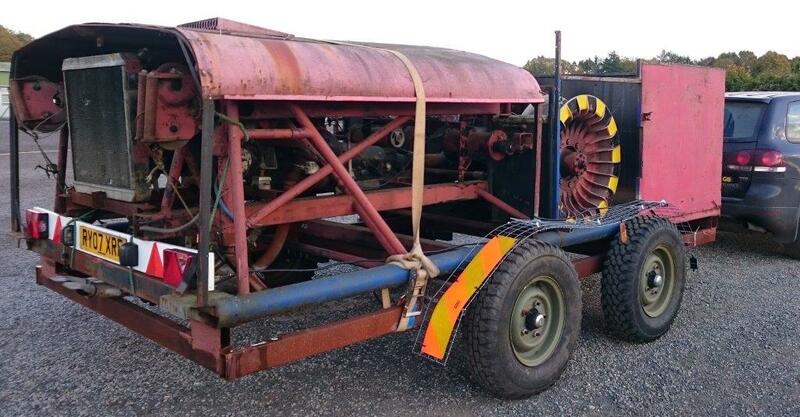 Your old lorry should be worth £2-3,000 as there are many vintage/military lorry enthusiasts looking for projects. 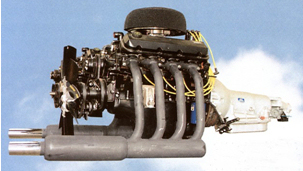 5) Remount engine/trans with sumps horizontal (not top of engine) re-position for correct Propshaft angles and fit with rubber mounts. 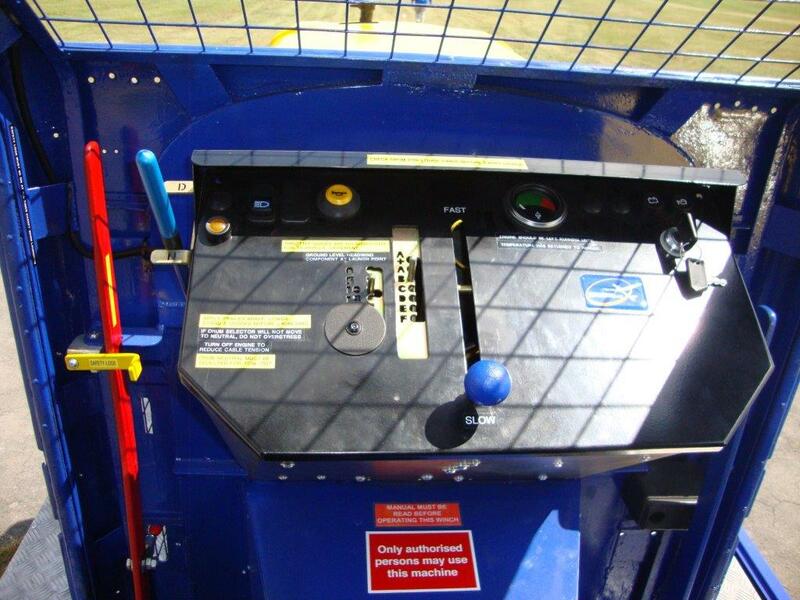 Rewire everything using circuit breakers mounted in the control panel, renew and re-route all Pipe-work as necessary. 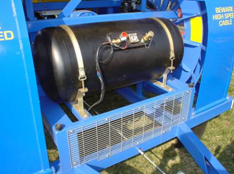 6) To install new or modify existing LPG only system with your tank; includes new carburettor, air filter, evaporator, pipe work etc as necessary. 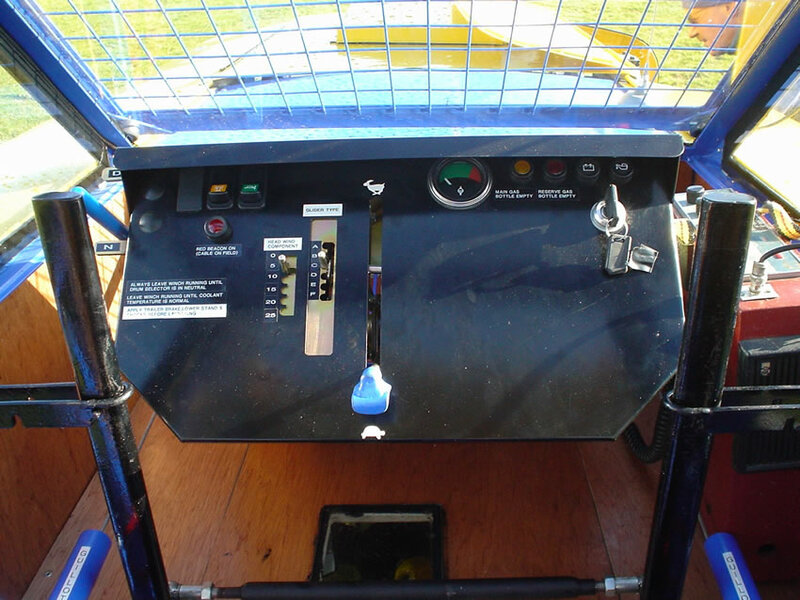 7) To install original radiator with thermostatically controlled auxiliary electric fan. 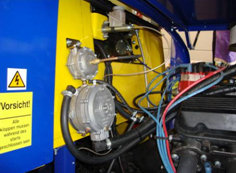 Fit new remote fan driven transmission cooler with thermostat. 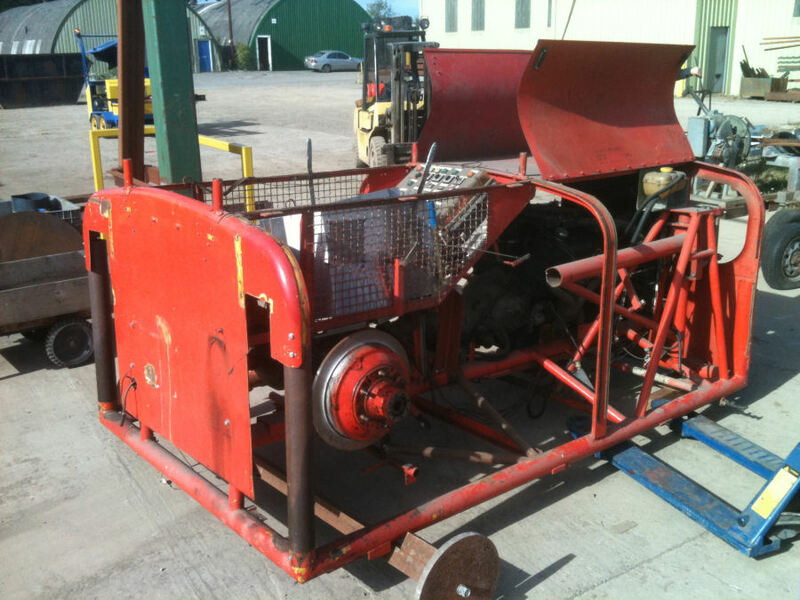 9) Remanufacture and balance Propshaft as necessary and manufacture transmission brake with pedal in cab for easy drum engagement with engine running and no dangerous hand turning of drums. 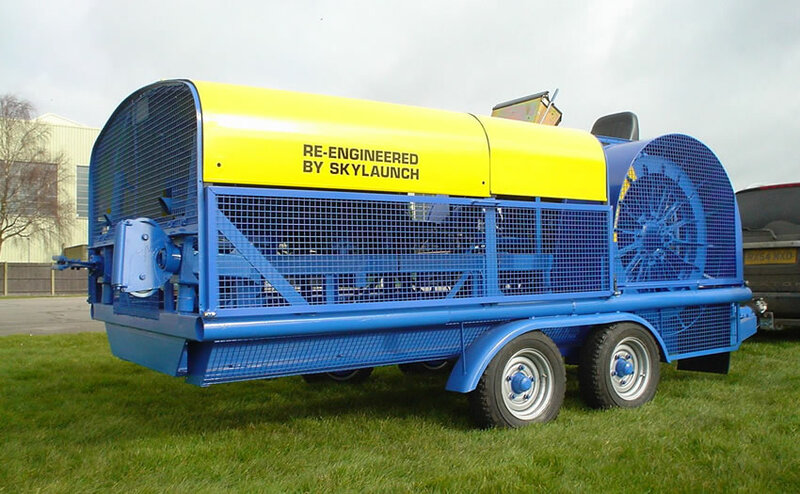 10) Fit new Skylaunch pulley/roller heads (pulleys/rollers are interchangeable for synthetic or steel cable). 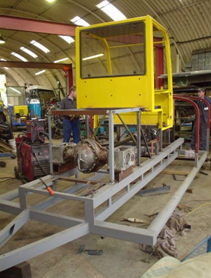 11) Re-engineer Tost guillotines with booster springs and new linkage to cab. 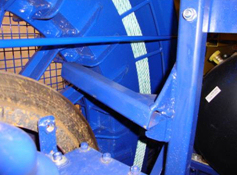 14) Fit 2 rolls of new Skyrope to winch (includes 2 new rope traces). 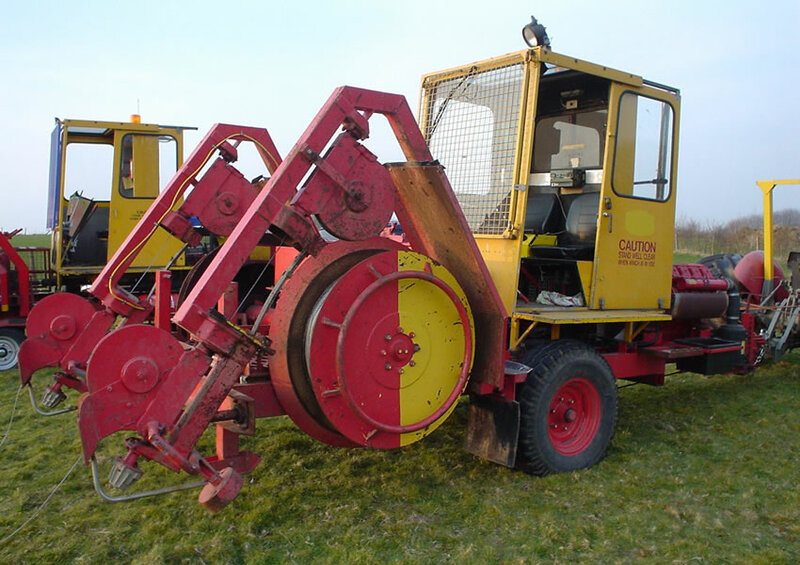 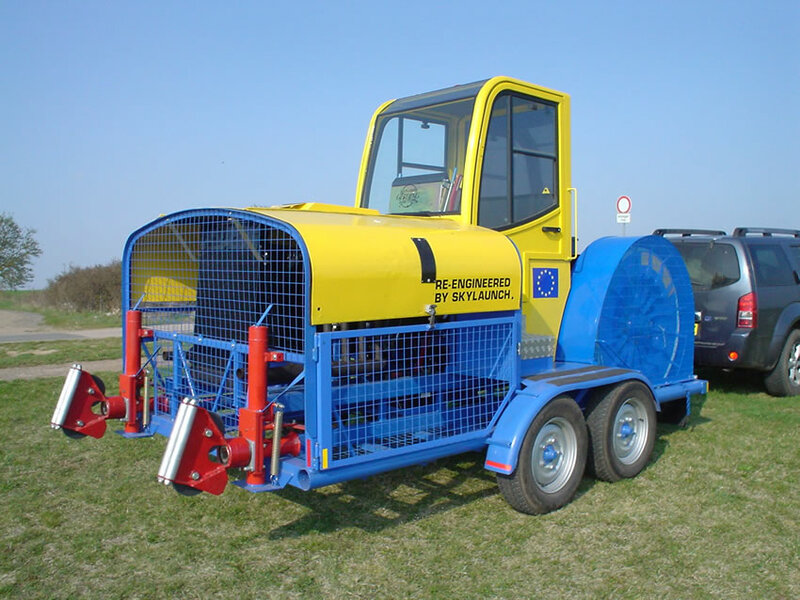 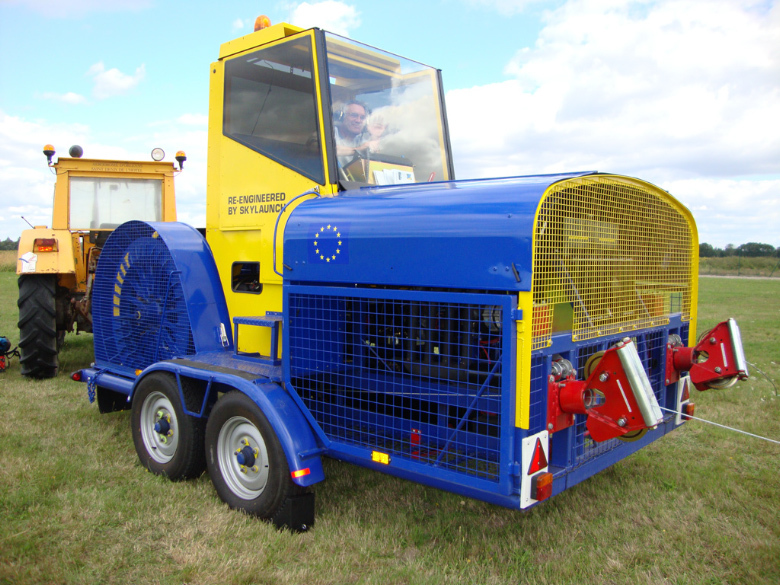 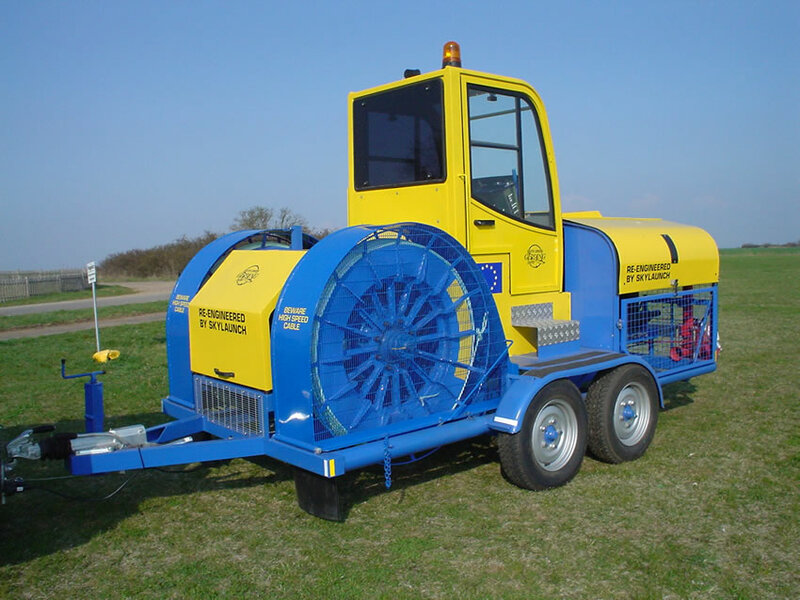 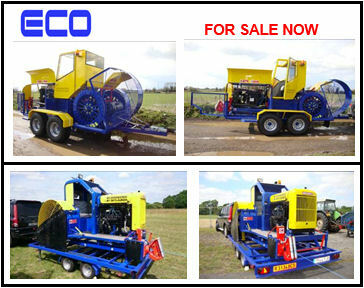 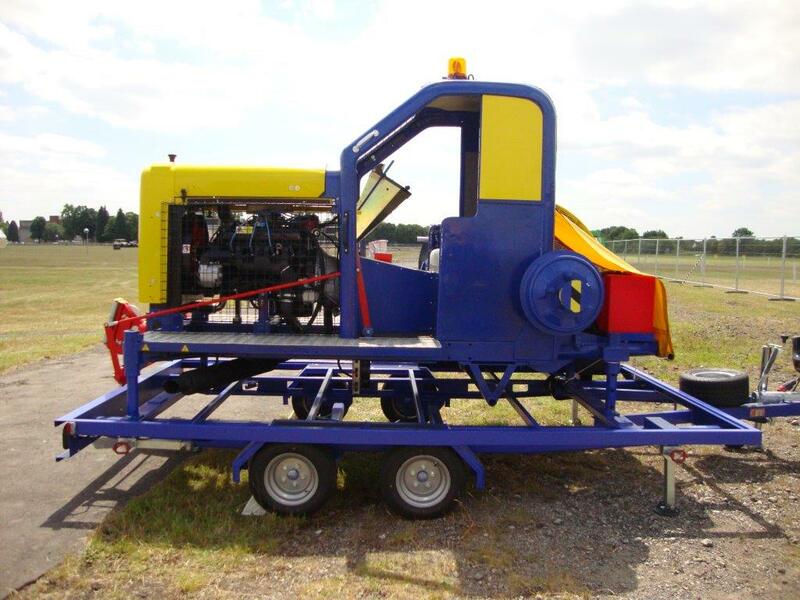 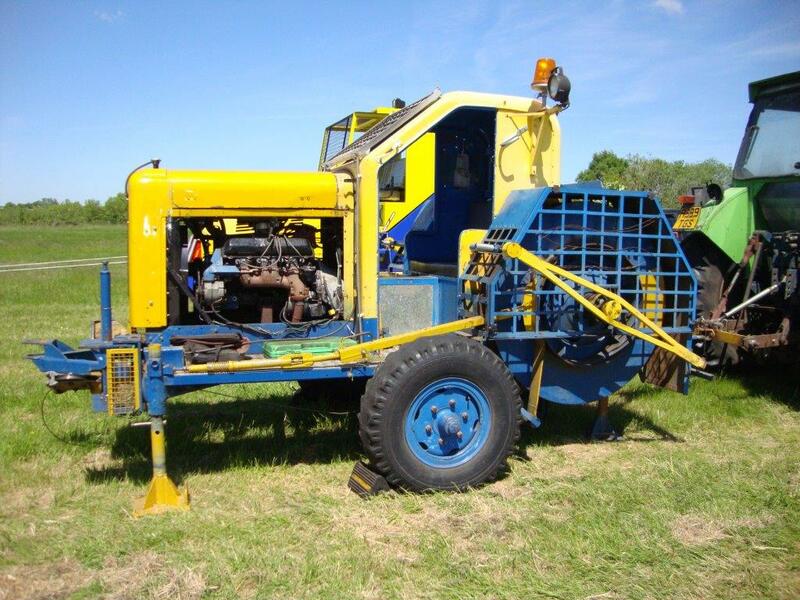 Example price £32,900 per winch + VAT. 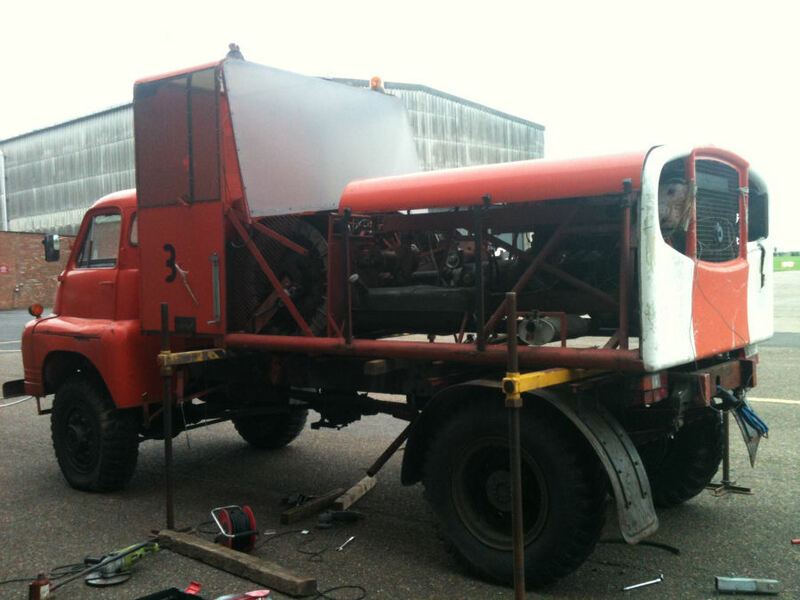 Prices assume original engine, radiator, Tost axle and transmission are in working order. 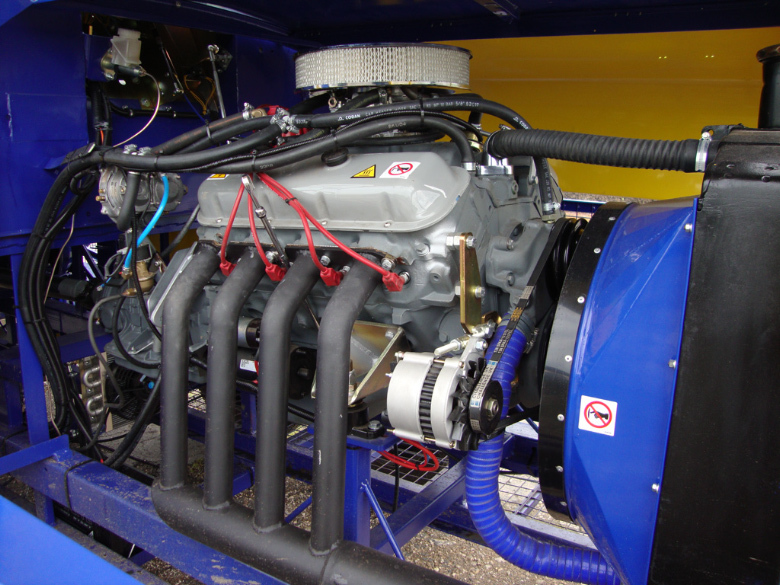 A) To fit all new 8.2litre big block Chevy engine with GM/ Oldsmobile transmission bell housing adaptor to winch. 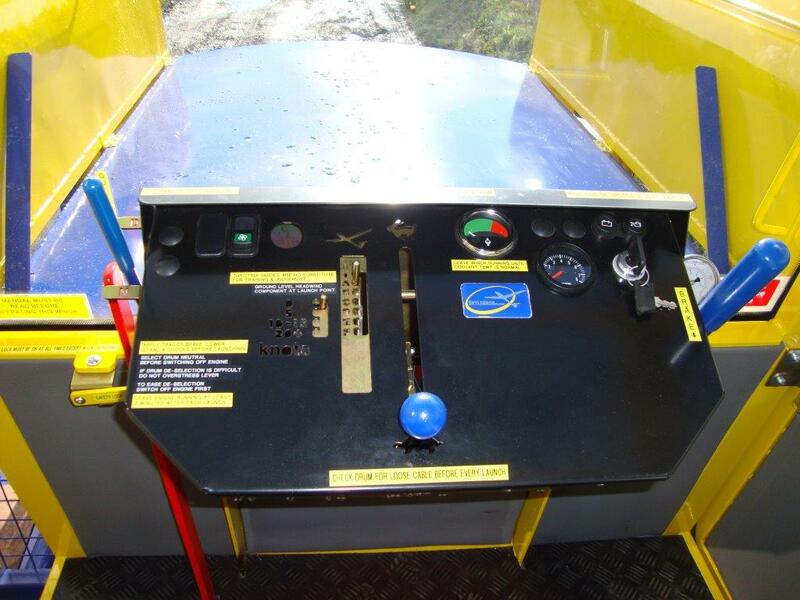 B) To fit pre-made cab (1.2m wide) over axle and equip with special single lever drum selector system, transmission brake, Skylaunch control panel system, wiring, levers, double seat, heater etc.